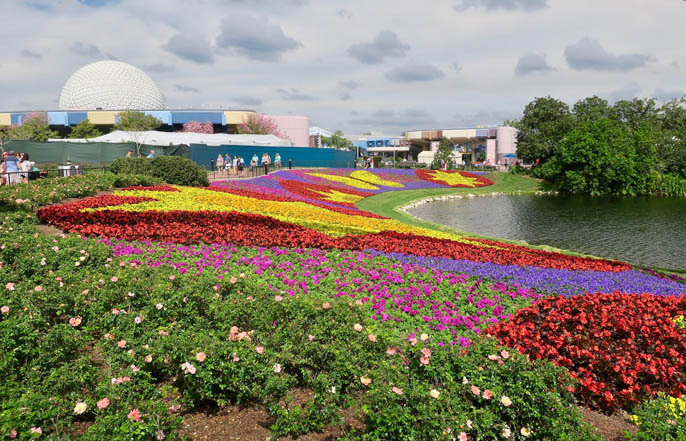 Florida’s Walt Disney World Resort is the perfect winter getaway, but it definitely requires some planning. 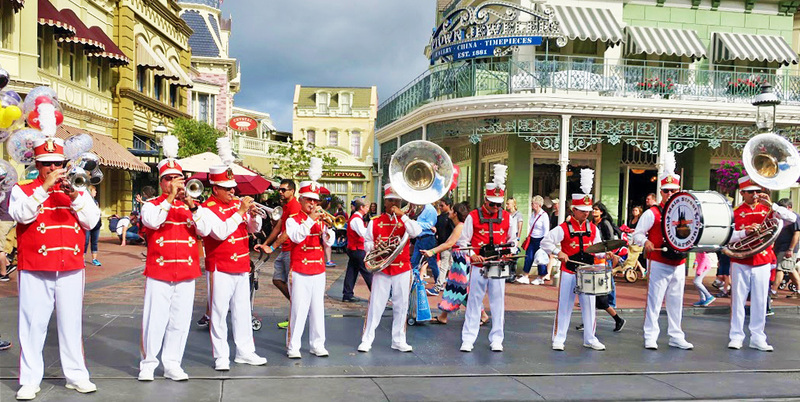 We took it upon ourselves to test the waters for you last winter and all survived with some lasting memories that our family will cherish forever… including an epic tantrum on Main Street (the happiest place on earth!) that we can giggle about now. 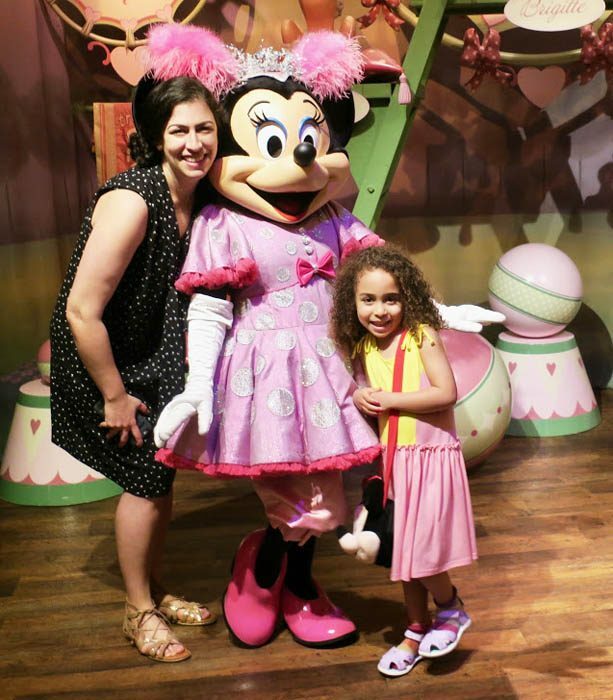 Head to Disney on a Wednesday, Thursday or Friday for shorter wait times during the week. January and September are the best months to avoid crowds. Wait times are longest around major holidays. You can arrive at the park a full hour early at 7am if you’re staying at a Disney resort hotel. Even if you’re not staying at a nearby resort, try to arrive around 30 minutes before the park opens so you can head to the most popular rides right away and beat the crowds. You can choose three rides each day to enjoy at specific times, to avoid waiting in long lines. 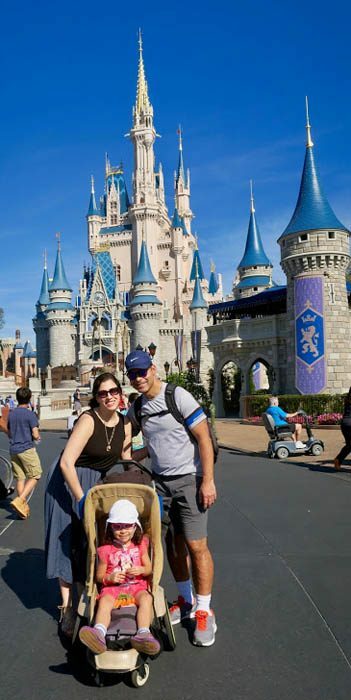 If you or your child qualifies for a disability access pass, head to City Hall at Magic Kingdom and they will quickly take a photo and give your group a special pass, which also allows you to avoid waiting in long lines. Note: ADHD, Sensory Processing Disorder and other non-visible disabilities are valid. Super easy, convenient and kid-approved for comfort. If you’re not staying at a Disney resort, avoid a long wait in the Magic Kingdom monorail line by hopping on the nearby monorail heading to “Resort Hotels.” It’s just three stops to Magic Kingdom! This tip will save an hour of your time each day. Enjoy a Dole Whip pineapple dessert at Aloha Isle in Adventureland at Magic Kingdom—it can only be found there or in Hawaii. At Epcot, share some delicious school bread at the Kringla Bakeri in Norway. Have lunch at Tangierine Café in Morocco or feast among princesses at the Akershus Royal Banquet Hall. For dessert, enjoy an ice cream martini while the kids eat macaroon ice cream sandwiches at L’Artisan des Glaces in France. When you enter the park, a character is typically stationed for photo ops with the castle as a backdrop and there are regular shows in front of the castle, complete with fireworks and a slew of characters. Minnie, Donald, Daisy and Goofy can be found in Storybook Circus at Magic Kingdom. Mickey and Tinker Bell can be found at the Town Square Theatre. Kids can chat with Ariel in Ariel’s Grotto, while Belle can be seen in Enchanted Tales with Belle. And Anna and Elsa are waiting for visitors at the Royal Sommerhus in Epcot. Peter Pan’s Flight, It’s A Small World, Jungle Cruise, Magic Carpets of Aladdin, Tea Cups, Dumbo, Seven Dwarfs Mine Train, The Carousel, Haunted Mansion, Big Thunder Mountain Railroad, Splash Mountain and Space Mountain. The Safari ride was great fun. We also really liked the Lion King and Finding Nemo shows there. We went on a rainy day in ponchos and still enjoyed walking around looking at the animals. The dinosaur rides looked fun, but were too intense for our little one. Gran Fiesta boat ride, located in the back of Mexico’s pyramid—no wait whatsoever. Bonus: there is also a good tequila place there for the grown-ups. The Frozen ride in Norway is excellent. Both space rides are fun, and Soarin’ is a must! The Seas with Nemo & Friends and Turtle Talk with Crush were highlights for our daughter, as well.